Determining what rug material is best for your home — or a particular space — is a fundamental part of buying the right rug. It’s extremely important to take a look at how each space will be used, what kind of foot traffic it will get and if there will be any children or pets in the space. For example, often, in homes we have rooms that receive more “use” than others, or even rooms where pets and/or children predominantly spend their time, and other spaces where children and/or pets may not spend any of their time. This is important because it allows you to determine what type of rug each individual space will need — not all rooms in a house will require the same type of rug material. Take a look at our smart manual for the most generally used materials for area rugs, as well as the upsides, and drawbacks, of each. The most commonly used area rug material is wool. This is due to the fact that wool is often prized for its strength and durability. We treasure wool rugs because they are reliable. They are incredibly strong, extraordinarily stain-resistant, have incredible securing properties and are incredibly easy to clean (when it comes to having your rug professionally cleaned — we don’t recommend cleaning your own rug at home). Additionally, wool can be manufactured without any dyes or synthetic chemicals, making it hypoallergenic. Most importantly, when properly cared for, and professionally cleaned, a good wool rug will last you for several years to come. Pros: Great option for spaces where kids, pets or stains may be present. Also great in rooms that receive a lot of foot traffic. Cons: Wool rugs tend to run on the pricier side (though they do last a very long time!) Not helpful in saturated places as wool rugs absorb water. If not rotated, and placed in a room where there is a lot of sunlight, fading can occur. If you are looking to provide a stylish touch to your home, that can handle house guests, foot traffic, pets, children, and any potential spills and stains, a wool rug would be the perfect choice for you! If you are prepared to spend a bit more than you would on a synthetic rug, you can find yourself an excellent quality wool rug that will last you for years to come. If you are interested in adding a wool rug to your home, please click here to shop! Known for their incredible sheen, and luxurious quality, silk rugs have been historically sought after for years. The popularity of, and desire for, a silk rug, dates back to early royalty and is still a common preference today. In addition to their incredible sheen, silk rugs also tend to have higher knots-per-square-inch, which only adds to the elegant craftsmanship of these rugs. Having said that, these rugs are not for the faint of heart, or budget-friendly wallet. These area rugs are incredibly delicate and usually equally as expensive. Silk rugs tend to get dirty much quicker than the average rug, and cost more than the average rug to clean, given that they are so delicate. Cons: Silk rugs are generally the most expensive rugs. They are delicate and expensive to have cleaned. If aesthetic is of the utmost importance, and price, pets and potential staining is not an issue, a silk rug would be an excellent choice for your home or space. Silk rugs are eye-catching and beautiful. Their elegant sheen, and luxurious feel has been sought after for hundreds of years, and is sure to maintain its value, so long as the rug is properly cared for. 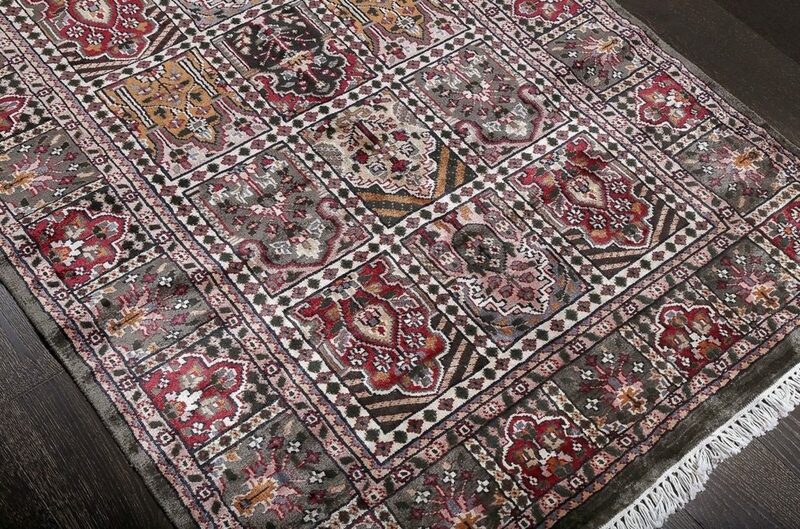 If you are in the market for a new silk rug, please click here to shop! If you like to update your space often, or don’t feel like shelling out a ton of money for a rug, a cotton area rug may be the perfect option for you! Additionally, if you’re allergic to wool or synthetic fibers, a cotton rug — made of natural, sustainable fibers — would be an excellent choice. Cotton rugs are known for their comfort, warmth, abundance of designs/colors, and easy-to-clean function. Pros: Can be used in virtually any space. Great for budget-friendly homes, homes with kids/pets, and homes with a lot of foot traffic. Cons: Cotton rugs are extremely absorbent (often also have a slow drying time), flammable, and can brown easily over time. 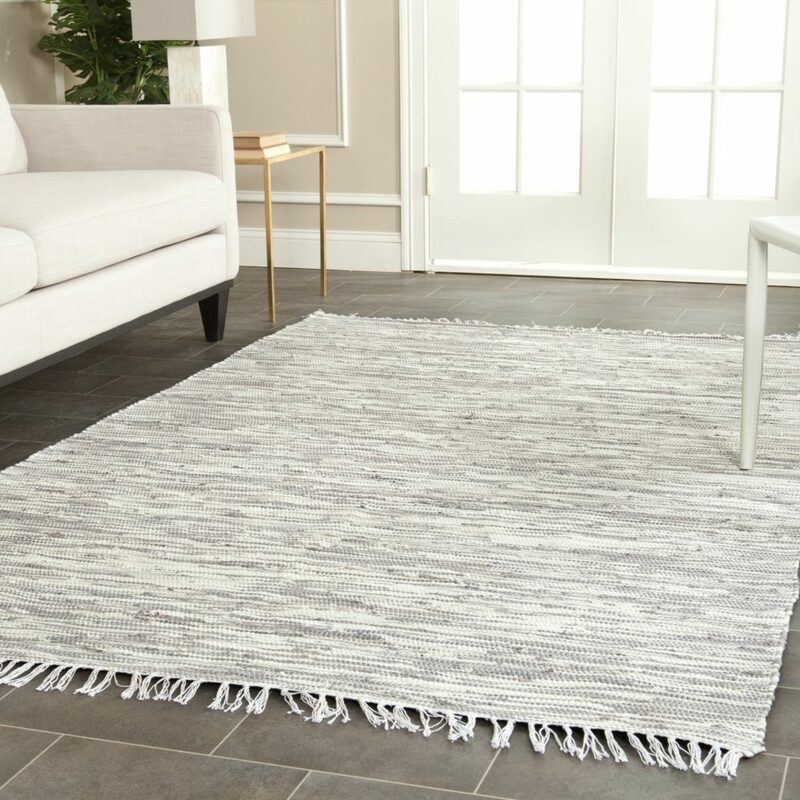 If you are looking for an inexpensive area rug option that gives you the freedom to switch up your style often, and is great for a busy home with pets or children, a cotton area rug is a great option for you! Visit our website to shop for a new cotton rug! 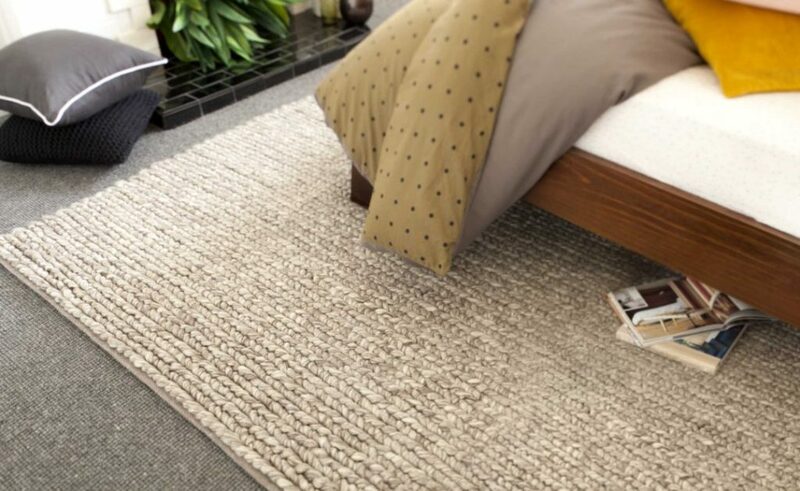 When it comes to natural plant fiber rugs, there are a few different options, with the main ones being Sisal, Jute, and Seagrass. Pros: Their natural, beautiful imperfections are famously used to add texture to a room. Often has a soft wool-like texture.Fibers take dye easily, so color options are plentiful. Cons: The least durable of the natural plant-fiber rugs. Pros: These rugs are known for their durability. Great for high-traffic areas. Fibers take dye easily, so color options are plentiful. Cons: They tend to become slippery over time. Avoid placing on stairs or areas where slipping can be an issue. 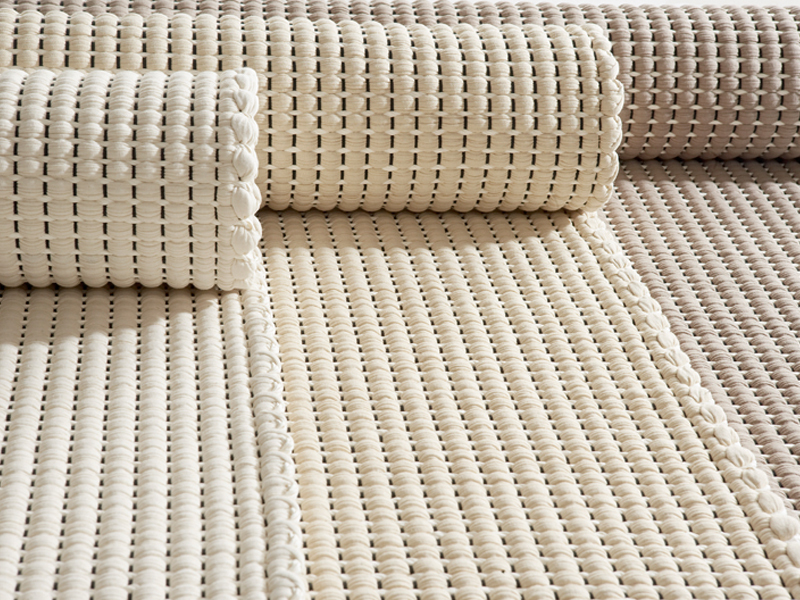 Tough stains are difficult to remove from Sisal rugs. Cons: Cannot be used outdoors. Since fibers do not take dye easily, color choices are extremely limited. 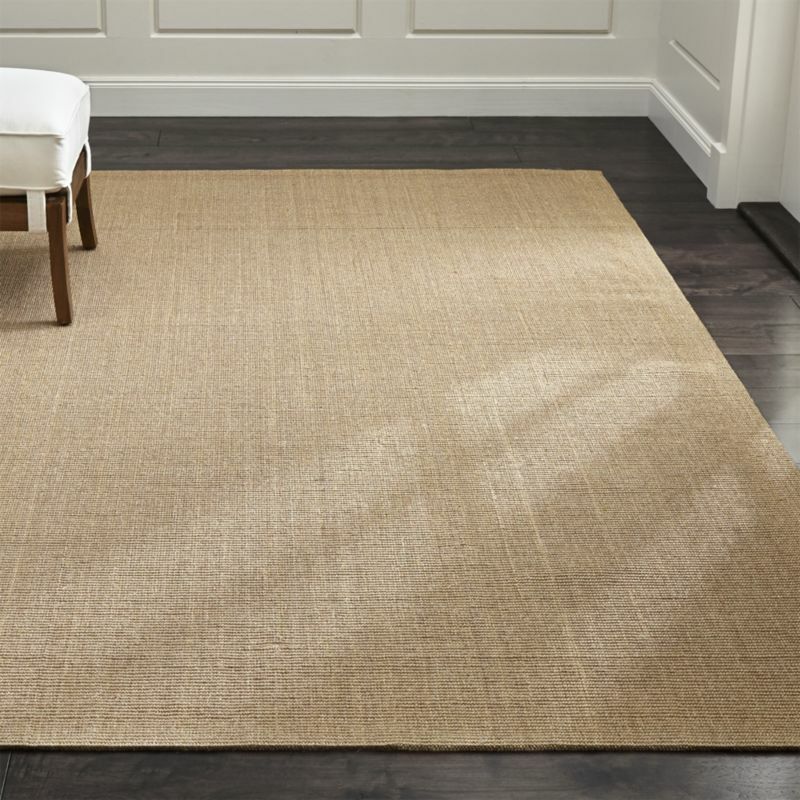 To shop natural plant-fiber area rugs like Jute, Sisal or Seagrass, visit our website! Man-made fibers including thick, nylon, and polypropylene. They have been upgraded during the time to imitate the characteristics of ordinary fibers. Pros: Budget-friendly and a great pet-friendly area rug option. Also an excellent option for homes with young children, or where stains and spills may be present. Great for high-traffic areas. Plenty of designs, styles and sizing options. Some options are even outdoor-approved. Fade-resistant. Cons: Tends to look “cheaper” than the previous, more expensive options. Don’t last as long. For more information on the best rug material for your home, or to shop any of the above styles, please visit our website. If you have any questions, please don’t hesitate to reach out to us — we are here to help!